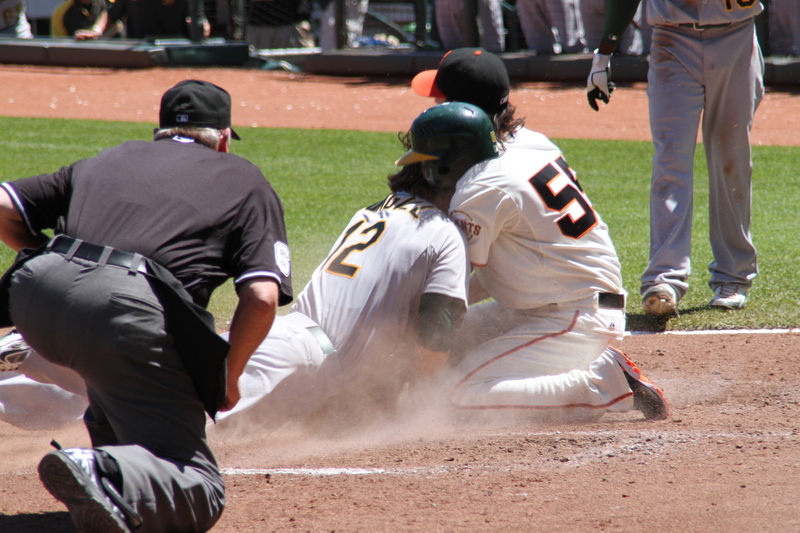 San Francisco Giants pitcher Tim Lincecum has to cover home plate from time to time, and I always cringe when he does it. These photos of his collision with Collin Cowgill in the fourth inning of today’s game against the Oakland A’s illustrate why. Timmy’s ankle, especially in the second shot, stirred some intense flashbacks of last season’s Buster Posey collision at the plate. And I could see his head snap back after Cowgill’s batting helmet struck his jaw. 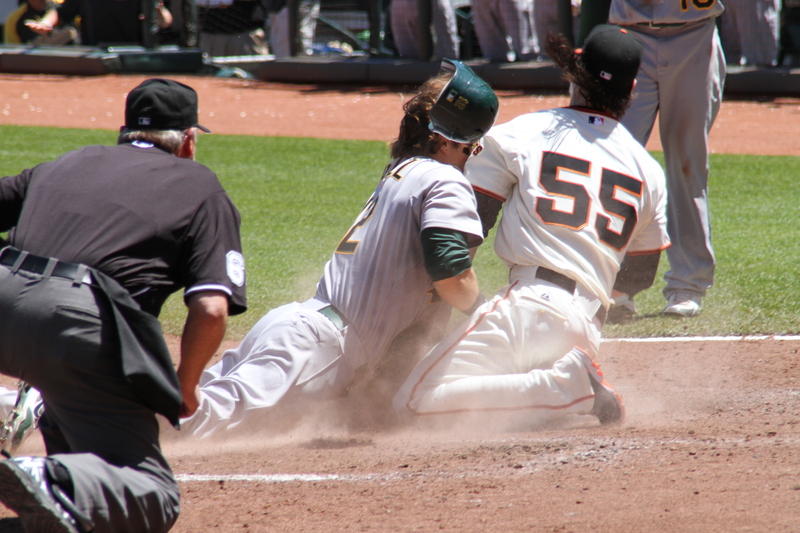 Those few seconds when Timmy was face down in the dirt felt very long. He’s a string bean. But he’s our string bean. And he’s tough.